How can I make a plane's edges taper inwards? How can I deform one edge or multiple edges of a plane or cube so they are tapered in and rounded equally? While in Edit mode, select the plane and subdivide it, by pressing W>Subdivide. You can press F6 to adjust the number of cuts. Then, use the Proportional Editing tool, enabled by pressing O, or by going to the 3D View header, and set it's falloff to Sphere. Now, select the center face/vertex and scroll the mouse so the circle doesn't contain the corner vertices and scale to taste. As an alternative to the answers above you may do it using subsurf modifier and edge crease tool. Add a plane and subdivide it once with W-->Subdivide. Scale some vertices to create the desired shape. Give it a subsurf modifier with some subdivisions. In Edit Mode select all the edges around the plane and press Shift+E,1 to crease them. Not the answer you're looking for? Browse other questions tagged curves edges or ask your own question. 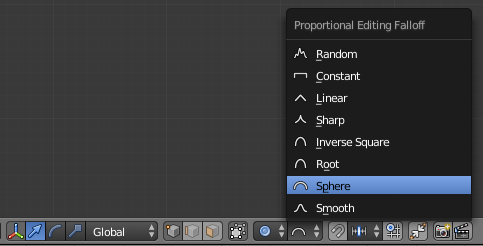 How to convert straight edges to curved edges in blender? How to draw and extrude this curved figure? How would you curve the edges of a 3D shape? How to reduce edges and make a face out of it? How to add edges without changing the form ? 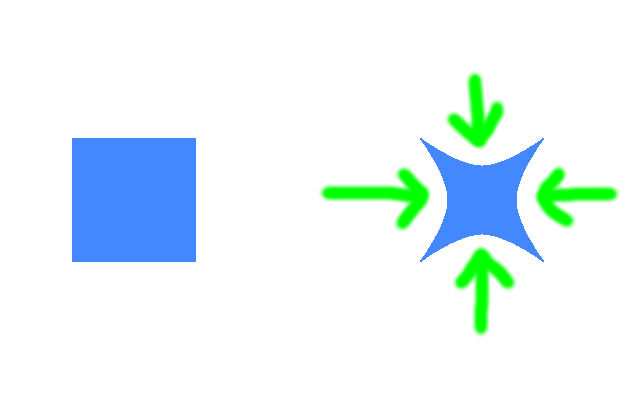 How to correct non-connected edges/faces? How to keep edges around the square hole sharp?